Nothing brings a country together more than cheering for our nation's best homeschooled, privately-coached athletes. One athlete, gymnast McKayla Maroney, has caught the hearts of people everywhere, not for her spirit and love of the game, but for her ability to make faces that would make her right at home with Regina George and The Plastics. 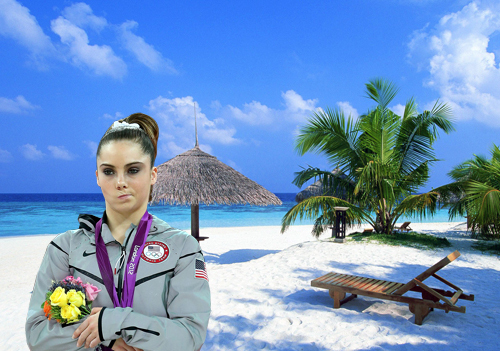 Thankfully, we have the tumblr McKayla Is Not Impressed. Reminding the rest of the world that America is #1!!! 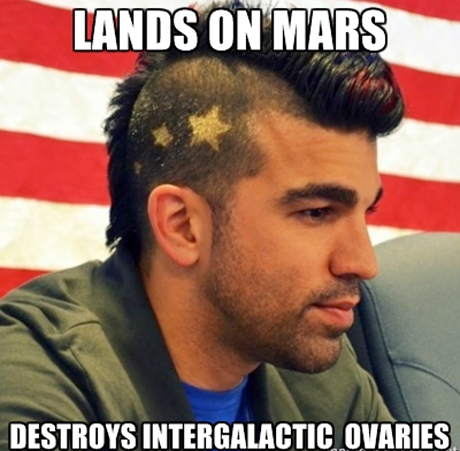 !, NASA successfully landed the Mars Curiosity, and among the room of celebrating scientists and engineers, young MIT grad Bobak Ferdowsi caught the eye of the nation, not only because of his rad Mohawk, but because his youth and charisma is not what you think of when you think of NASA scientists. Public figures like him are the reason that tumblr exists, and of course there is already a tumblr dedicated to him.